For decades, Carnica, Inc. has been the preferred choice of hundreds of Auto dealers and fleets in Chicagoland for cosmetic paint repair. Dent Wizard International, the global leader in paintless dent repair and auto reconditioning, purchased Carnica in October of 2017. Carnica is now the paint repair extension of Dent Wizard for the Chicago area, and will be keeping its "Carnica" brand name that residents in the area have come to know and trust. Like Dent Wizard, Carnica specializes in fixing damage on vehicles that are still drivable. Bumper repair, panel blends, moldings and other drivable damage is Carnica's specialty. Heavy collision is not. By focusing on cosmetic paint repair, Carnica has been able to streamline the process to repair vehicles faster and at a more affordable cost than traditional auto body shops, while still producing very high quality results that are guaranteed for the life of ownership. 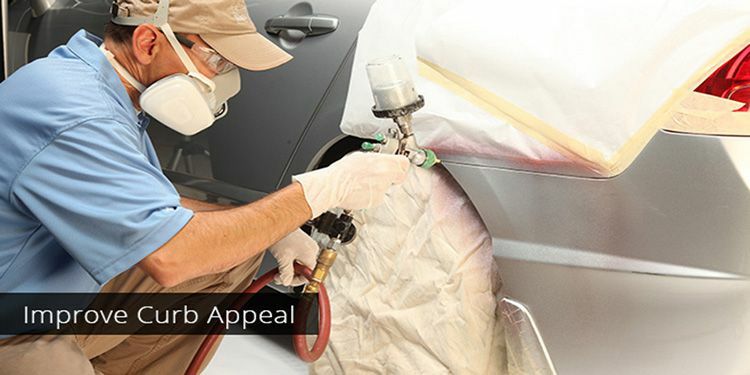 Our trained team of interior repair Dent Wizard technicians utilize industry-leading techniques and take advantage of the newest interior repair technology. Looking to grow your career in the automotive industry? We’re hiring! Dent Wizard has positions open across the U.S. for Paintless Dent Repair (PDR) Technicians, Wheel Technicians, Key Technicians, Operations Managers and more. Our employees come from a variety of backgrounds, but all have one thing in common: the drive to succeed. We pride ourselves on being committed to ensuring our employees succeed and develop long-term relationships. If you’re a self-starter with drive, ambition, integrity and devotion to exceptional customer service, consider joining our team!